Many of the most admired people in the world have incredible humility. There is something very special about a person who can wield great power, while at the same time remain humble. This characteristic is becoming rarer in our society, yet it remains one of the greater virtues to be cultivated. Encouraging your child to be humble about his accomplishments, even when they’re very impressive, is an important part of parenting for several reasons, ten of which are shared here. Because No One Likes a Know-it-All – There are some very intelligent people in the world, and most of the more admired ones manage to keep their egos in check. Your child could end up a social misfit if she always insists on letting everyone know how smart she is, or reminding the people around her of her many accomplishments. It’s wonderful to be brilliant, but it’s even more wonderful to be brilliant and humble. Because Arrogance Isn’t Cool – Most arrogant kids have a tendency to be rude in their behavior toward others. Rude behavior is not appreciated by anyone, especially other kids in your child’s peer group. If you would like to see your child well respected and accepted, teach him how to be humble, even if he does seem to be a cut above others. Because Humility Stands Out in a Crowd – Society is full of people who think much more highly of themselves than is warranted. These people usually get talked about and ridiculed behind their backs, and when they make a mistake or fail at something there is little sympathy. 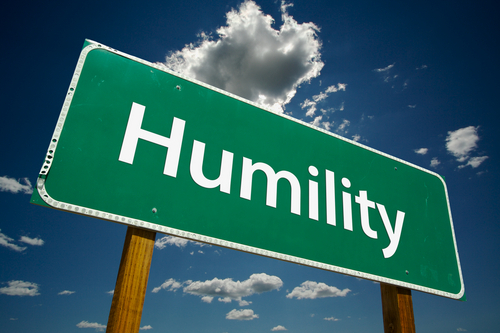 Those who have humility tend to have a higher level of respect from their peers. The humble tend to garner support when they need it, and will stand out from a crowd of kids with a false sense of entitlement. Because Teachers Appreciate Humble Students – Nowadays, teachers on every level have to deal with a variety of entitled attitudes and arrogant ideas. The humble student is like a breath of fresh air to the average educator. That can easily translate into a better educational experience for your child. Because Humility is a Sign of Self-Confidence – Someone who is confident in his knowledge and has self-assurance does not need to flaunt it, because his skills are evident. As your child gets older, teaching him to own his good points as well as his flaws will help him keep a realistic perspective on things. He will learn to have confidence in what he does know, and he will seek answers for those things he does not know. Because There are Amazing Examples to Hold Up for Your Child – When you teach your child about humility, you have some amazing role models to hold up. Desmond Tutu, Nelson Mandela, Mother Theresa, Mahatma Gandhi and so many others have done incredible work and managed to remain humble during the process. Teaching your children about such world leaders and their sacrifices will help instill the concept of humility despite greatness. Don’t forget to hold up the unsung heroes as well, family members, community people, friends, etc. Because Teaching Humility Also Instills a Sense of Gratitude – One aspect of humility is learning to be grateful. As you encourage humility in your children you are teaching them to appreciate and be thankful for what they have. Kids who have gone on mission trips to serve others less fortunate or those who are dealing with some sort of disaster such as a flood or tornado often return home with a great sense of appreciation for their own privileged position. Because Encouraging Humility is Encouraging Service to Others – It’s a very worthy cause to teach kids how to serve others. Learning to put someone else first is an important skill, and much needed in today’s self-centered society. Helping other people is putting the Golden Rule into action. As kids learn what it truly means to treat others as they would like to be treated, they will get a clear picture why humility is such an important virtue. Because Humility Builds Stronger Relationships – When one athlete in a team sport gets all of the attention for winning the game, sometimes he will credit his good fortune to his teammates. Such actions help foster better relationships between the members of the team. After all, it is a team sport and that single athlete could not have won the game alone, despite what the commentators would have people believe. Instilling this kind of thinking in your child will serve her well as she matures and learns how to work well with other people. Because Humble Children Are Usually Happier – The person who isn’t doing much has little to be humble about, but also little to be proud of in terms of their performance. On the other hand, a person who is achieving much and remains humble throughout all her successes is a person to be admired. As your child steps into this role, always encourage her both in her achievements and in her humility. She will learn to take pride in a job well done and how to share the limelight with those who helped her along the way, rather than pushing others away with grandiose statements designed to cover a deep-seated insecurity. There’s a fine line between encouraging self-esteem and fostering a sense of arrogance. Striving to bolster kids’ self-esteem can backfire, as evidenced by the rise in arrogance and entitled attitudes. The air of entitlement has taken its toll while the virtue of humility and practice of humility have seemed to have fallen by the wayside. It’s not too late to turn things around, and starting with instilling a strong sense of humility in your child is a strong beginning.